I’d been wondering for a while why Strava wouldn’t automatically geotag photos on activities, since it had access to the timestamps (from EXIF data) and a GPX track filled with timestamped waypoints and eventually decided to solve the problem myself. I dove in, starting to write a Ruby script that could add GPS coordinates to photos given a GPX track…and then after a solid hour or two, I googled the problem and discovered that this feature is built in to Lightroom, and it’s far more awesome than what I was hoping to build. Select the photos you want to geotag in your filmstrip and, in the same menu, click “Auto-Tag Selected Photos.” Note: if your tracking device and camera are out of sync, you may need to use the Time Zone Offset option. I recently moved timezones and never fixed my camera clock, so I’m one hour off on most things. That’s pretty much it. Browse your photos using the map and revel in the fact that they now have GPS coordinates embedded in their EXIF metadata. 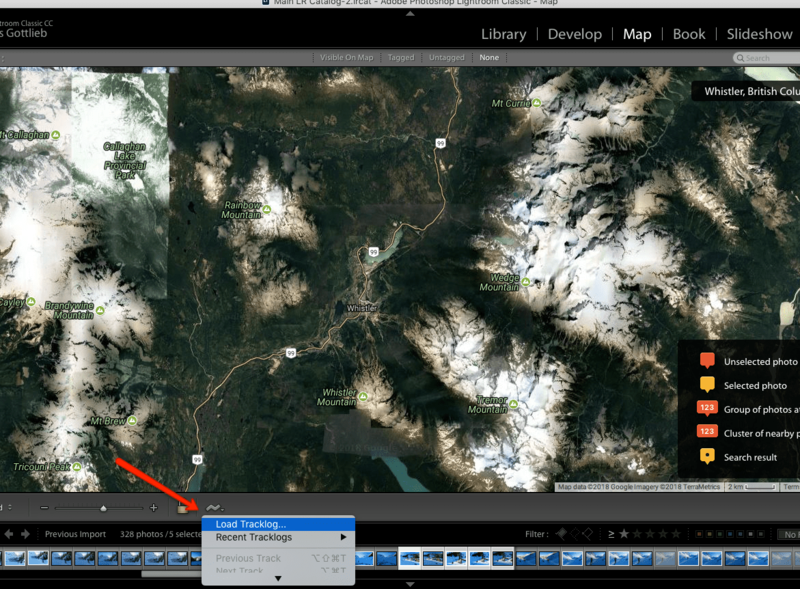 I’m kind of wondering what the publish options are — if it’s possible to easily export maps to the web that are similar to Lightroom’s Map module, it’d be a really easy way to create interactive trail or ski guides. If you’re interested in working with EXIF data using Ruby, mini_exiftool and its companion multi_exiftool seemed to be the most straightforward options.